Fresh bananas with homemade cream filling in flaky pastry crust. 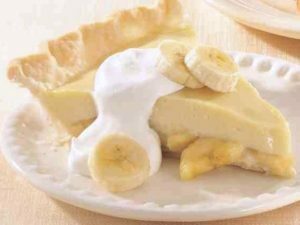 Here is an easy dessert recipe for Homemade Banana Cream Pie. Combine sugar, flour and salt in a saucepan. Gradually add milk while stirring gently. Cook over medium heat, stirring constantly, until the mixture is bubbly. Keep stirring and cook for about 2 more minutes. Remove from heat. Temper the beaten egg yolks with small quantity of the hot mixture, then immediately add the egg yolk mixture to the rest of the hot mixture. Return to burner and cook for 2 more minutes; constantly stirring. Remove mixture from the stove; add butter and vanilla. Stir until mixture is smooth. Slice bananas into cooled baked pastry shell. 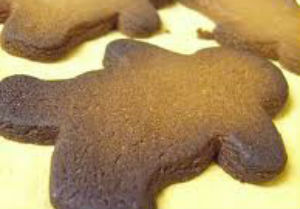 Top with prepared cream filling. Bake in a preheated oven at 350°F (175°C) for 12 to 15 minutes. Cool on a wire rack before chilling for an hour. To make the sweetened whipped cream, pour heavy cream into a well-chilled bowl and add the sugar and vanilla. 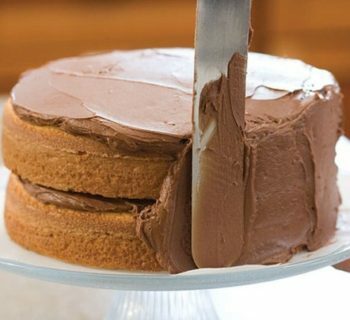 Using an electric hand mixer or balloon whisk, beat the cream to the desired consistency. For soft peaks, the cream will be just thick enough to hold its shape in soft billows. 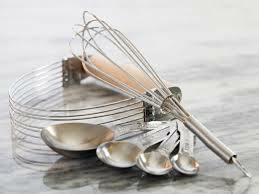 For stiffly beaten cream, the beaters or whisk wires will leave distinct traces on the cream and stand in firm peaks when the beaters are lifted. Serve a slice of the Banana Cream Pie with a dollop of whipped cream.